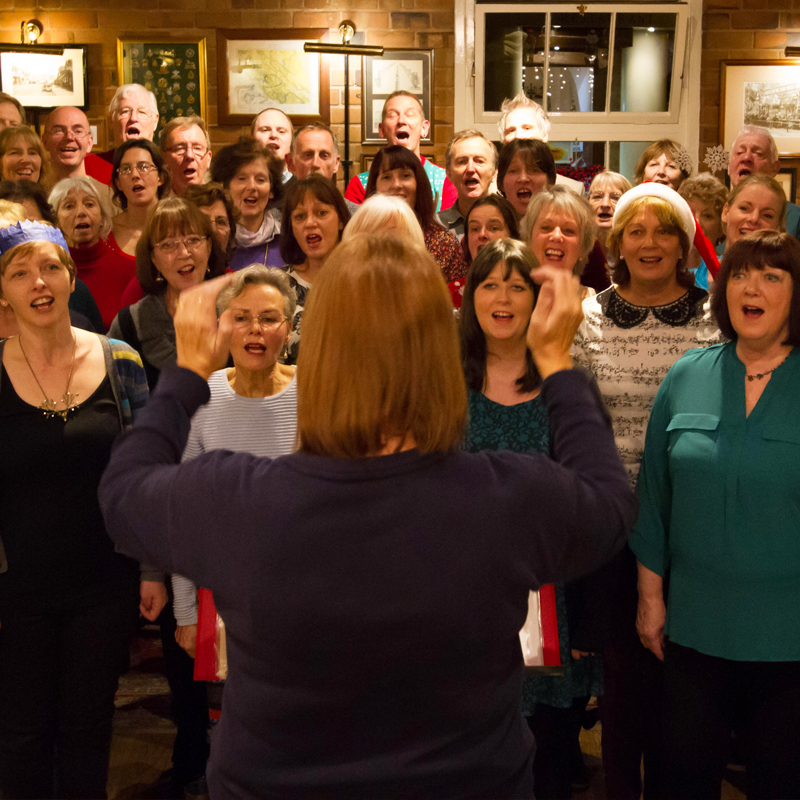 Jigsaw Sound is a large, mixed voice, adult choir based in Shrewsbury, Shropshire. We were formed in Shrewsbury in January 2007 and are now entering our 12th year of music making. Our membership is drawn from areas as far afield as Church Stretton, Pontesbury, Minsterley, Welshpool, Oswestry, Wem, Market Drayton, Wellington, Telford and Much Wenlock. 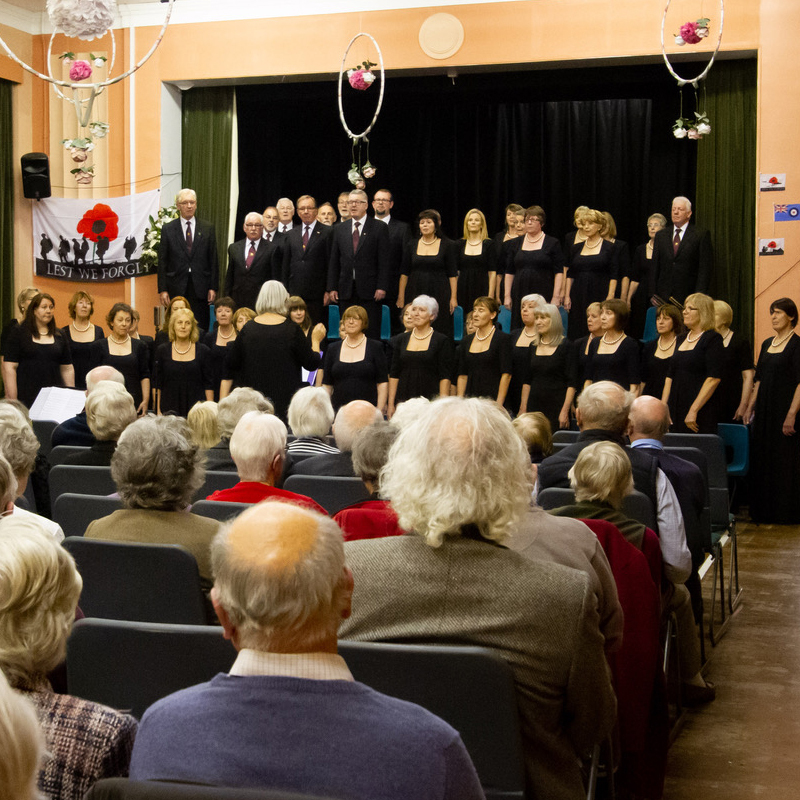 We regularly perform at concerts, weddings and fund-raising events throughout the County of Shropshire and over the border into Wales. As you can see from the picture galleries we have a membership that spans all ages. 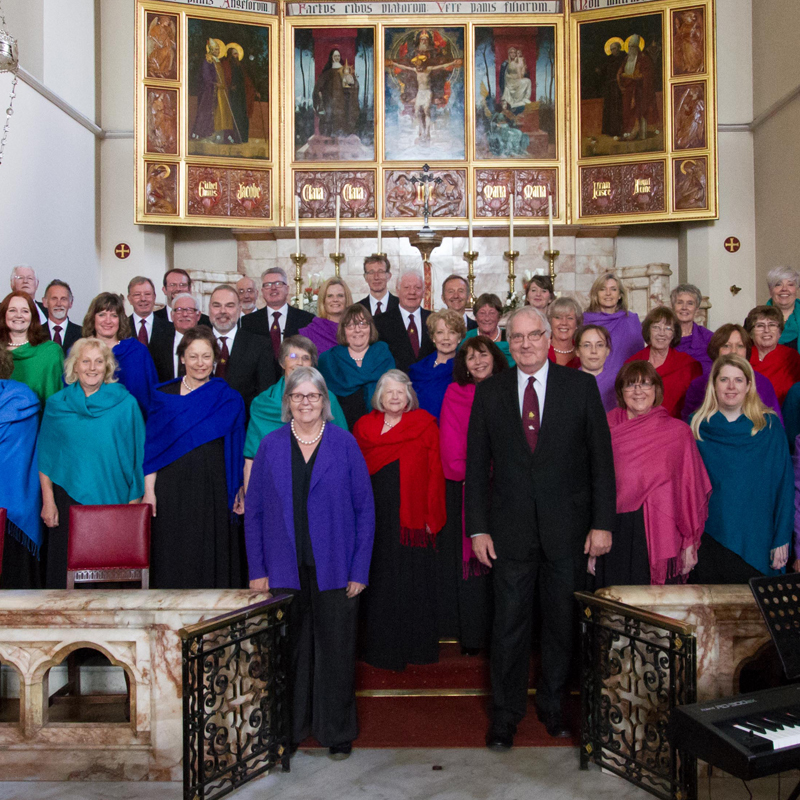 Jigsaw Sound have many very experienced singers but we have also deliberately sought to draw new members from people who do not have any previous choir experience or the ability to read music. A great deal of time and assistance is available to new singers, in small groups or individually in order to help them to become fully established members. There is no formal audition – just a simple [private] voice test to confirm the ability to sing in tune and to establish vocal range. The primary aim of the Jigsaw Sound Choir, is for members to have fun together through the medium of music. We place great store on raising funds for local charities and we give all our donations from concert performances directly to our supported charity chosen each year (in November) by nominations and voting by members. If you are interested in becoming a member of the choir you should in the first instance telephone Colin or Angela on 01743 244195. Alternatively, there is a contact facility via the JOIN button on the website home page. We will be happy to tell you all about the choir and answer any questions you may have. Potential members are invited to attend a weekly rehearsal, no strings attached, to see for themselves what we offer. Jigsaw, since its formation, has sought to be much more than just an opportunity for people to sing in a choir that meet once a week. 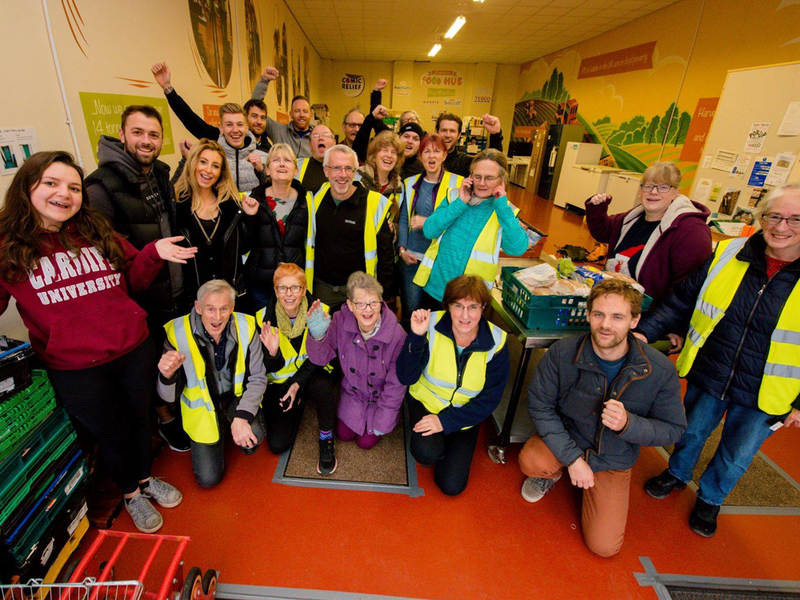 Great value is set on members forming friendships and becoming involved with all of our social activities and fund-raising events. We warmly welcome all who come to try us out. Many members, who were new to the Shrewsbury/Shropshire area when they joined, have found friends as well as becoming part of the Jigsaw community. We believe it is very important to support and care for each other. Membership entitles participation in all choir activities including social events, musical performances, musical tours etc. Partners and friends are warmly welcome to join in with the social side of the choir. We are a not for profit choir and a modest weekly subscription is payable by members (whether present or not) for the weeks we rehearse. 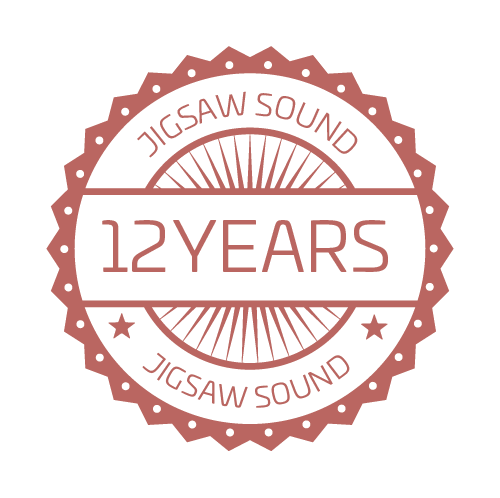 Rehearsal evening for Jigsaw Sound is Tuesday from 7.15 to 9.30pm in Shrewsbury. Once a member, you will be loaned, free of charge, a set of sheet music for your use during your membership of the choir. Our repertoire contains music from many different genres, light sacred to show tunes and classical to contemporary music. 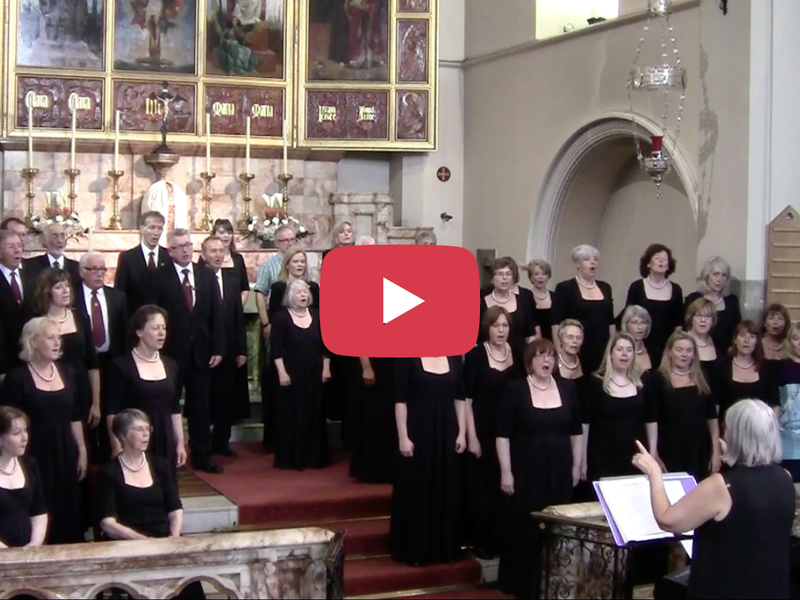 Do have a look at the video files on this website and you will get a good idea of what we look like and hear some of the music that we sing. Do remember that what you see and hear is being created by people of whom the majority do not read music and have never sung in a choir before. So, if you are interested – don't delay - make contact through the website or give us a call on 01743 244195 and we will tell you about the choir and happily answer any questions you have. Pictures from our Concerts, Tours and Events. 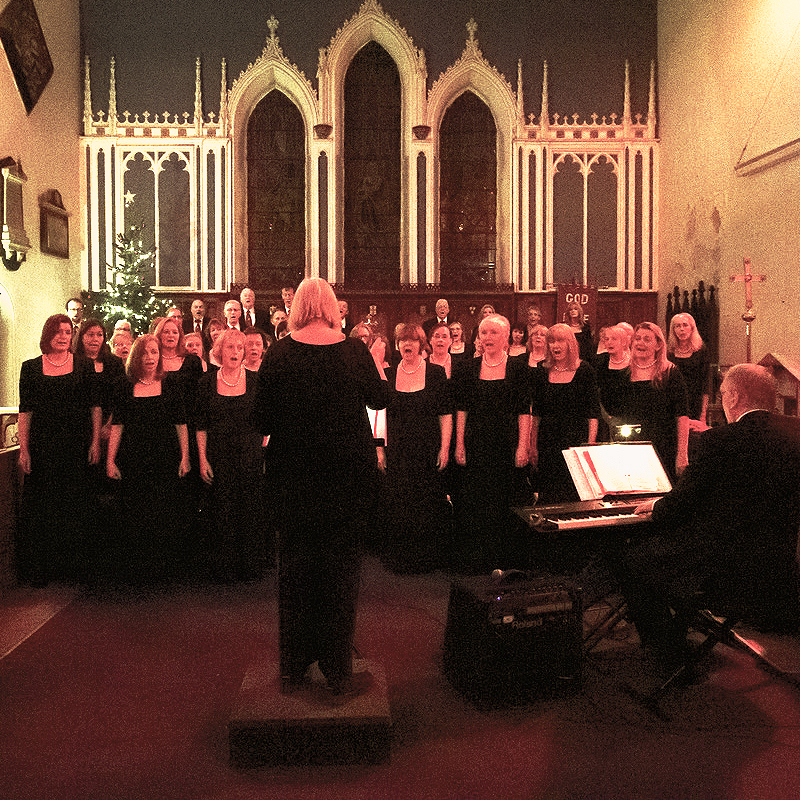 We have had many kind words of praise and support from the organisers of the concerts we have performed at. 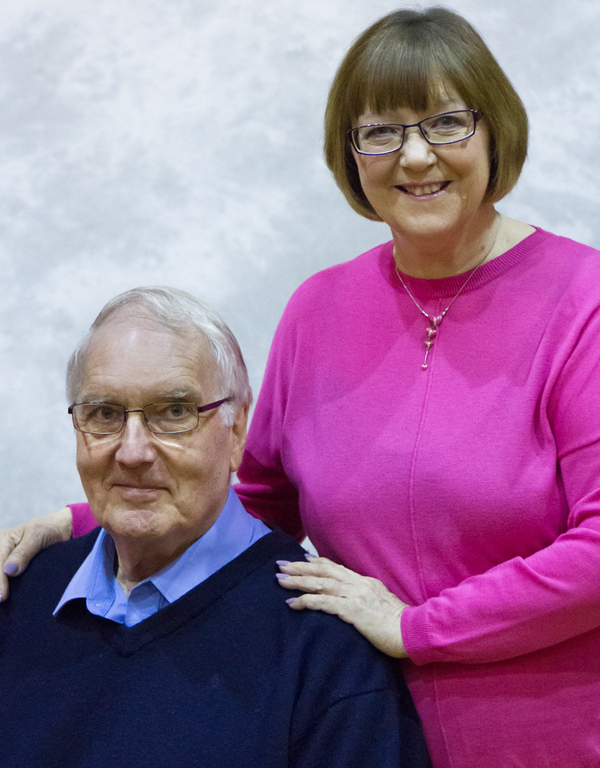 DEAR ANGELA AND COLIN We raised the magnificent sum of £726 and the PCC have asked me to convey to you and all the choir members, our appreciation for an outstanding evening both musically and financially. As a regular church goer it was uplifting to see the church so full. Afterwards I received many congratulatory comments … "Wow – where did they come from?!!" "I really, really enjoyed it Ray" "When can we hear them again?" "The piece with the organ was beautiful" Altogether a very successful evening which hopefully can be repeated this Christmas time. "Wasn't that wonderful and what a fantastic ending - something we can all hope and pray for - A World in Union. I would like to thank you all very much for giving us so much pleasure this evening. We have been right down in the depths and we have been right up in the sky and I think we have experienced every emotion in between! I would like not only to thank you for performing but also to thank the person that compiled the programme becuase I think that has been an absolutely splendid job to have got such a mix. 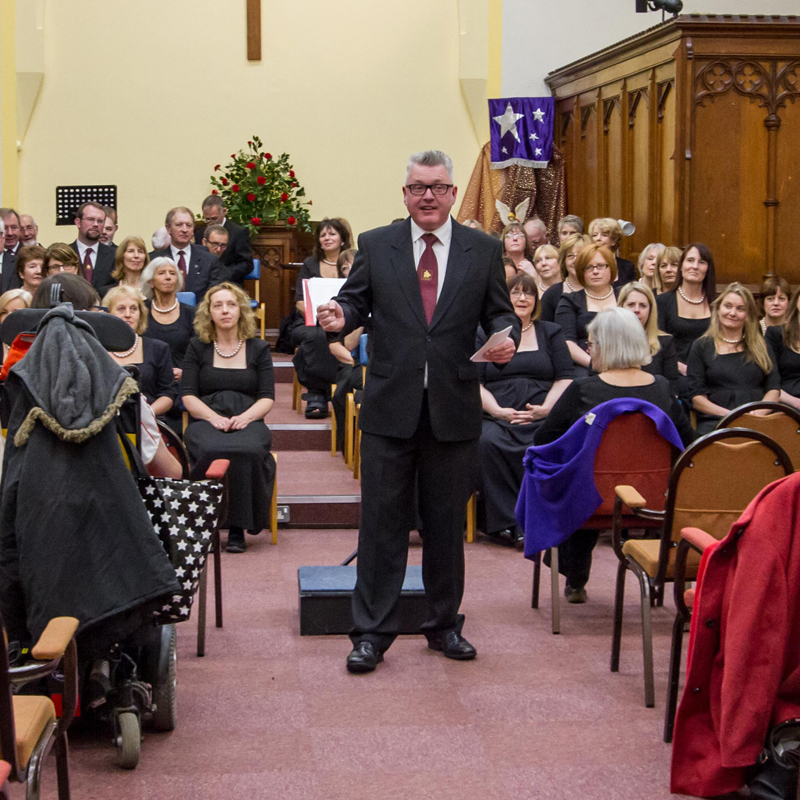 Something that would appeal to everybody was in that programme and that was very skilfull"
Many thanks for an absolutely wonderful evening – everyone was talking about it today – you are an amazing choir and you choice of music perfect for Yockleton. People are all remarking on how friendly you all were. Many thanks, it was a really joyous concert, with so many special moments. We think we speak for all of us, when we say that we really felt humbled and blessed to be present on such an occasion. We sat with the Mayor and Mayoress, and it was obvious to us that they too were very appreciative of the high standard of singing and the way in which the entire programme was presented. We would not have missed the occasion for the world. Thanks again for the amazing year of raising vital funds on behalf of the Trustees and members of Shrewsbury Street Pastors. 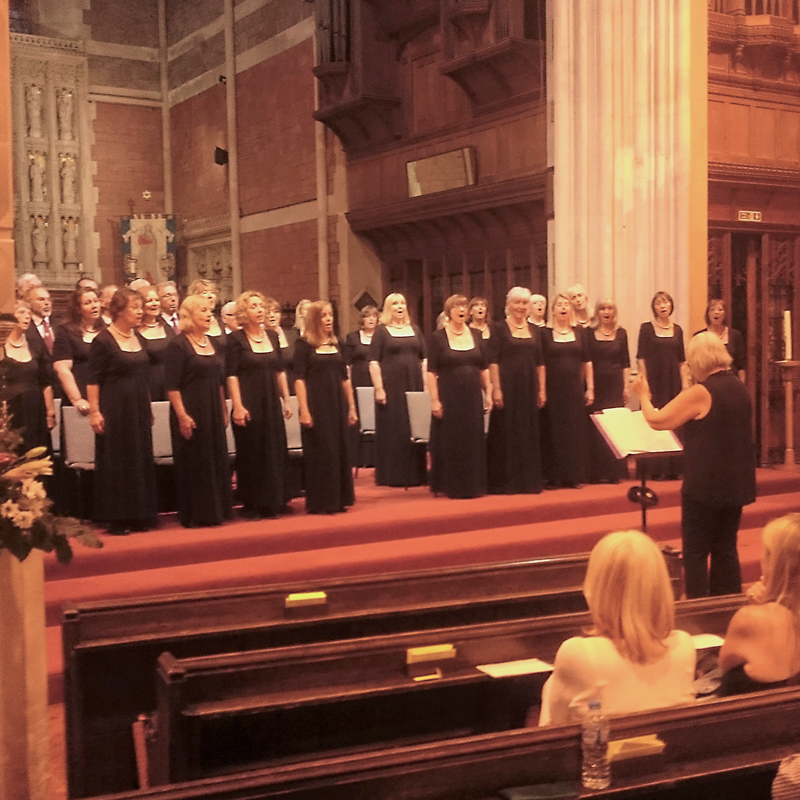 The JIGSAW SOUND concert held in St Mary's Church in August proved to be a wonderful entertaining evening. The 44 strong community mixed choir, made up of all ages provided an extensive programme of songs from the shows with beautifully rendered versions of songs such as "The Ashokan Farewell" and "Hallelujah" to the more upbeat "Pretty Little Angel Eyes" and "California dreamin'". There was a lovely warm atmosphere in church on this summer evening, enhanced by the humour of the link man, who entertained with his own patter of jokes!! Courtesy and copyright of The Chipping Norton Times. Reproduced with permission. 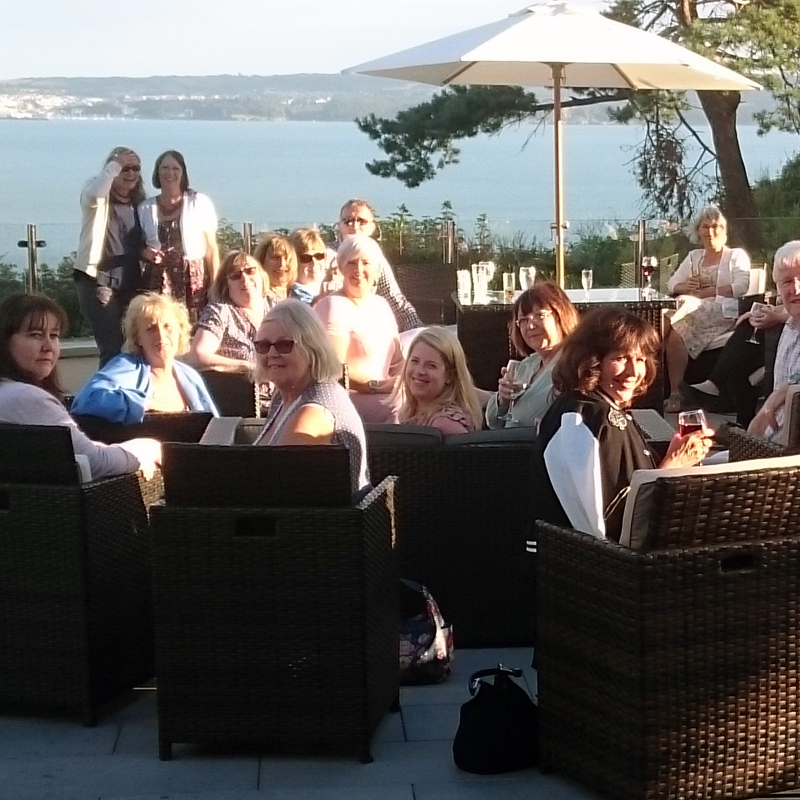 DEVON TOUR AUGUST 2018 - LETTER OF THANKS Words do really fail me, as I try to express the sincerest thanks of all of us, for the concert JIGSAW gave us on Friday. It really was truly wonderful: from the moment I met you and Angela, I knew we were in for something special, but I had not realised just quite how special! You have created a really special choir - you can feel the bond between the members; their warmth and enthusiasm shines through. So, from the bottom of all our hearts, we thank you. I gather that the event at Temple Methodist was equally 'successful' and they, like us, cannot wait for you to come back. Perhaps in 2020 if not sooner? 95% of the Jigsaw Sound members don’t read music and have never sung in a choir before. 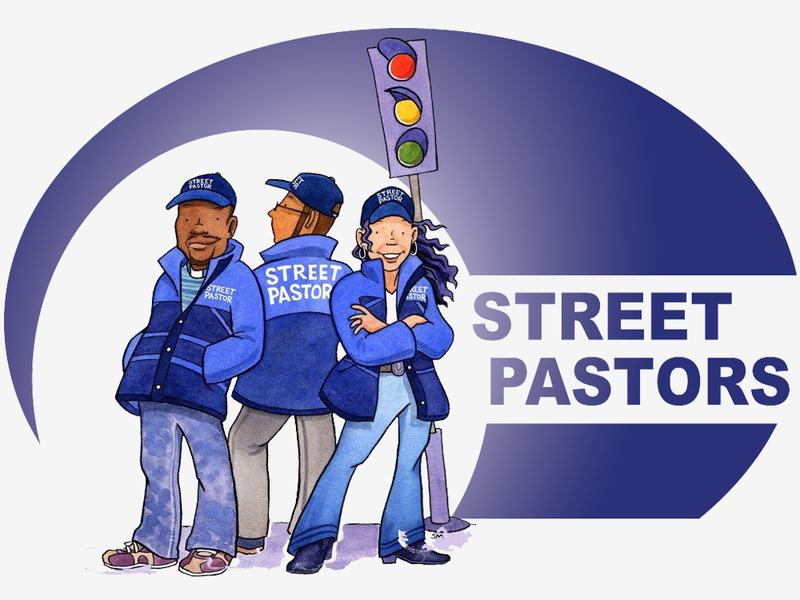 Our chosen charity for 2019 is the Shrewsbury Street Pastors. This is the frst time we have gone back to supporting a previously chosen charity. Click the image above to hear us. We have more recordings on Sound Cloud. If you want to hear more of Jigsaw please click the button shown below. We have a number of recordings which will give you an idea of how we perform the range of music we nrmally cover during a year of concerts. 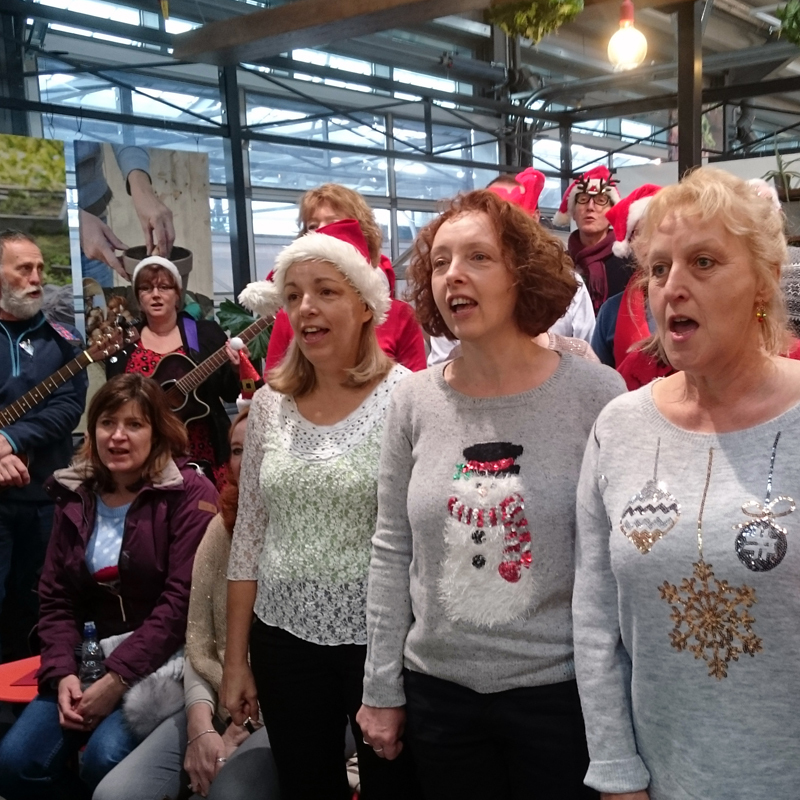 Donations totalling £1560 were raised by Jigsaw Sound Choir, during the Christmas Concert season, for the Food Hub - our chosen charity of 2018.